Imagine that you’re going through your medical examination after your work injury accident. The physician drops an instrument, and you lean over to pick it up in an attempt to be kind. The medical examiner can then say that you had free and unrestricted movement while you bent your body laterally. Such are the techniques used by some defense medical examiners. A doctor may also ask you to push hard against his or her hands, while the doctor applies very little pressure in response. The doctor then says that you had good manual muscle strength. Again, another trick sometimes utilized by a defense team’s medical examiner. When a doctor evaluates your range of motion, the American Medical Association specifies that the doctor must make at least three attempts at the evaluation using a goniometer. However, the doctor may eyeball the test and then choose not to repeat it. This is another trick sometimes employed by defense medical examiners. The doctor says that he or she wants to palpate the area that was hurt in your work-related accident. The doctor barely touches you and then reports that you showed no pain or tenderness upon palpation. Are you still assuming that the defense team’s medical examiner has your best interests at heart? Then you will become the victim of the sometimes disingenuous methods used by employers, workers' compensation insurers, and doctors for the defense. 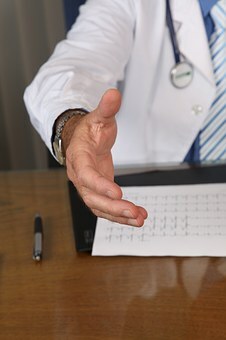 Your attorney may advise you to bring another person to your medical examination who can provide testimony concerning the medical examiner’s actions. Also, a good attorney will warn you that the defense medical examiner may watch you get into your car after the examination. The medical examiner may report that you got into your car with no obvious impairment. After spying on you, the defense team’s medical examiner may include your unencumbered ability to get into your car as part of his or her report. A good rule of thumb is to schedule an examination by your doctor on the same day that you are examined by the defense medical examiner. Your own doctor can testify to the true nature of your injury accident and can provide information based on what he or she has seen after years of examining you. Even though you may have to pay for a visit to your own doctor, the visit will enhance your credibility in court. Your doctor can combat the false testimony of a defense medical examiner who has been paid by the insurance company. Do you want to learn more about your rights as an injured worker? Then get a copy of our free book entitled Iowa Workers’ Compensation: An Insider’s Guide to Work Injuries. The book, which you can review in the comfort of your home, was written by an Iowa attorney who wants to make sure that injured Iowans are not lured into trusting a defense medical examiner who isn't looking out for your best interest. For immediate assistance, contact us online or call (888) 435-9886 and ask for Corey.